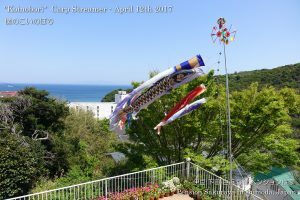 I set up Koinobori for my son yesterday. This entry was posted in Family, Pension Sakuraya on 2017年4月29日 by izusakuraya. 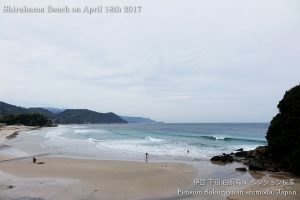 I took a Nordic walking to Sotoura beach as usual. 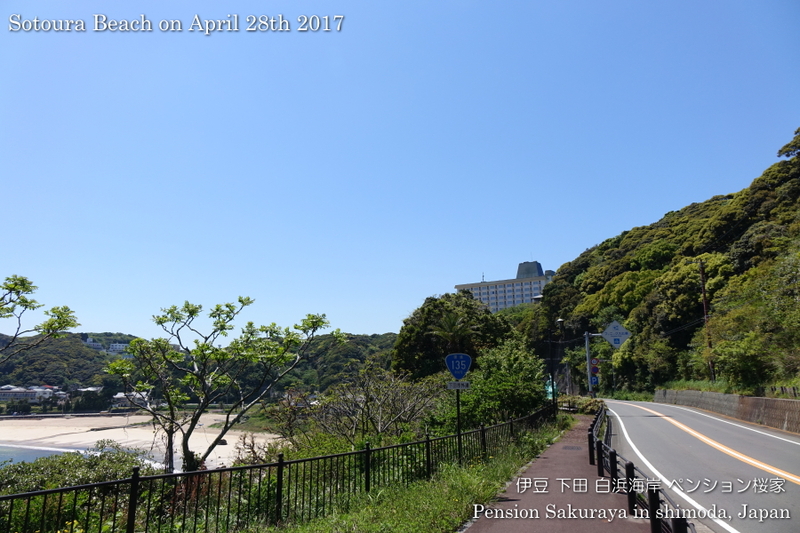 It was sunny and very hot like almost summer today. 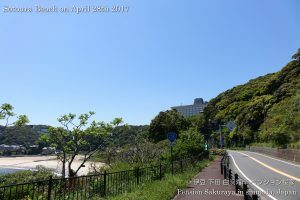 I was happy to walk looking over the blue sea and the fresh green leaves. 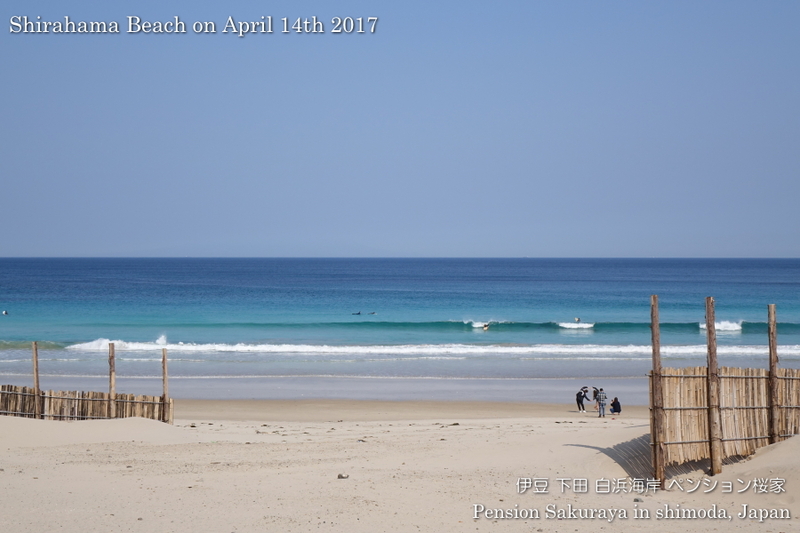 This entry was posted in beach, nature on 2017年4月28日 by izusakuraya. 2017/04/27 Thank you for staying. 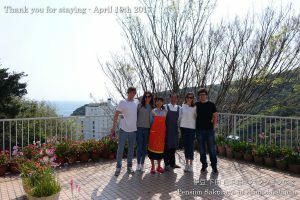 They came from France and stayed at Pension Sakuraya for the 1st time. 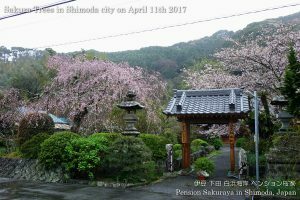 After arriving in Japan they went to Kyoto, Nagano and some other places, and came to Shimoda as the last stop in Japan. 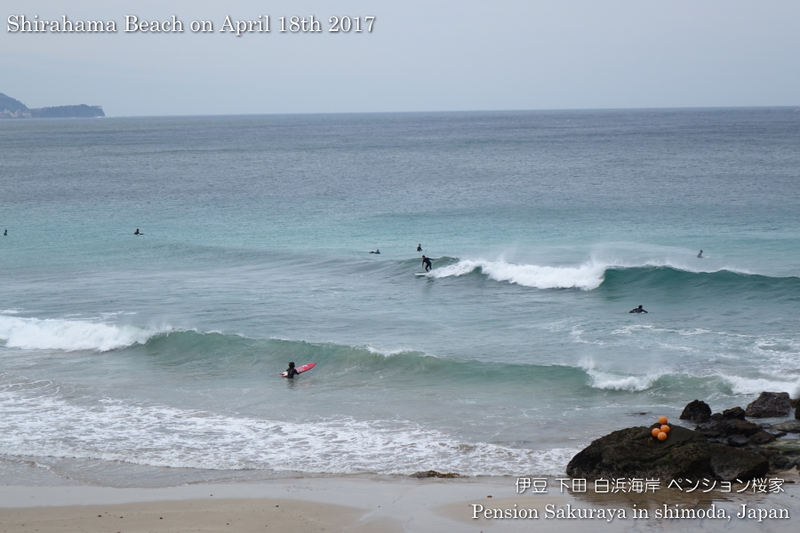 Unfortunately it had been cloudy during their stay they went to Irozaki cape to get on the tour boat and Shirahama shrine. 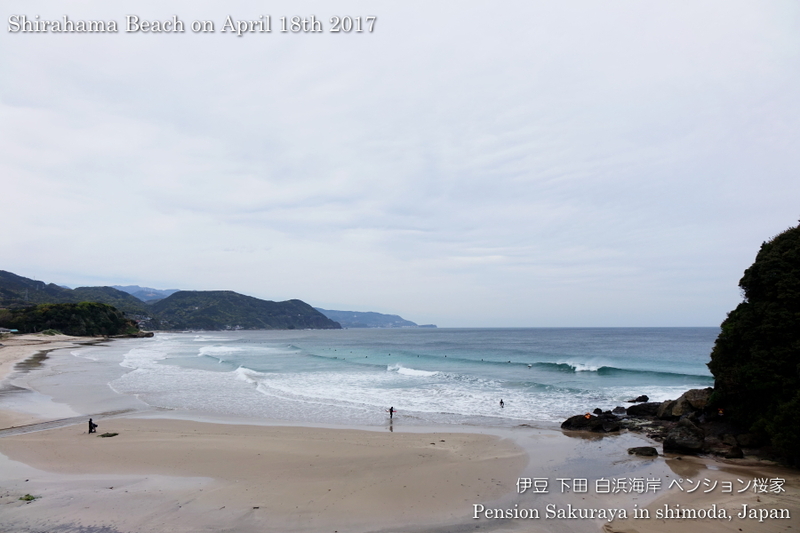 This entry was posted in Customers, Pension Sakuraya on 2017年4月27日 by izusakuraya. 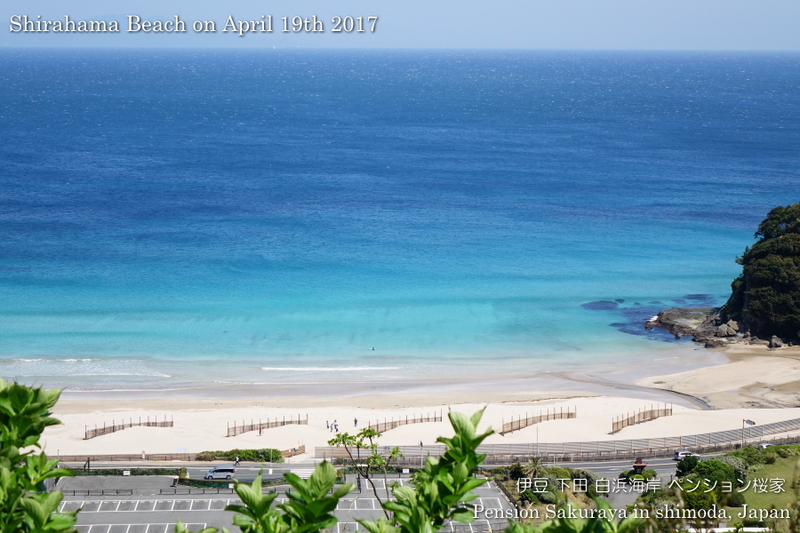 The blue sky came back to Shirahama beach today. I wanted to show the customers this beautiful landscape, who checked out this morning, because it had been cloudy and rainy during their stay. 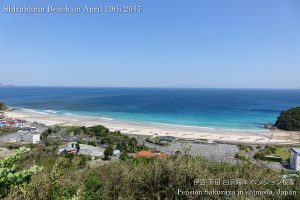 This entry was posted in 未分類 on 2017年4月19日 by izusakuraya. 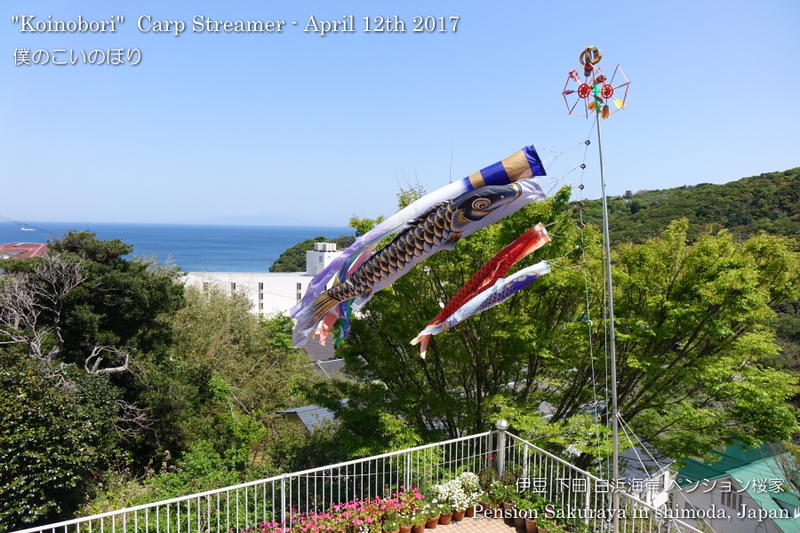 2017/04/19 Thank you for staying! 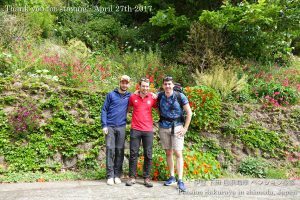 They came from Germany for the 1st time. 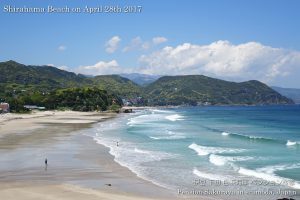 They visited Kyoto and some places for sightseeing and came to Shimoda for the last place to relax. 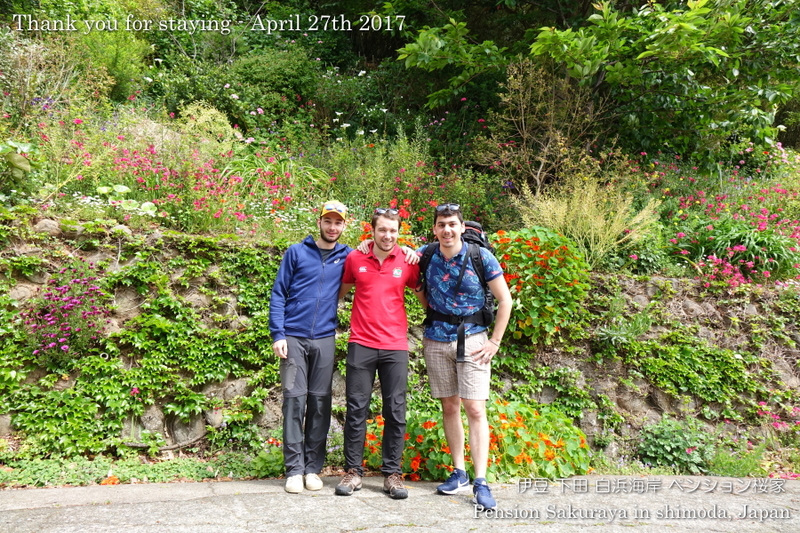 But unfortunately it had been cloudy and rainy during their stay. We wanted them to see the beautiful beach and scenery in Shimoda. We hope you will come to Japan and Shimoda again in the future. 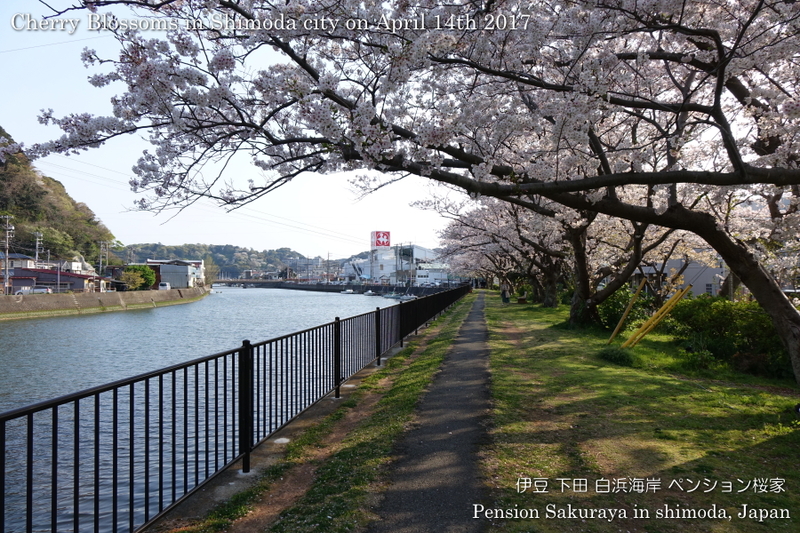 This entry was posted in Customers, Pension Sakuraya on 2017年4月19日 by izusakuraya. We had had pouring rain since last night. 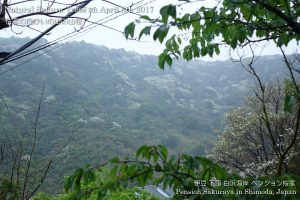 It was almost typhoon at around 7:00 this morning. But the rain stopped after 8:00 AM. 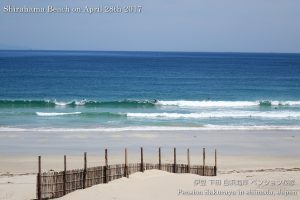 This entry was posted in beach on 2017年4月18日 by izusakuraya. 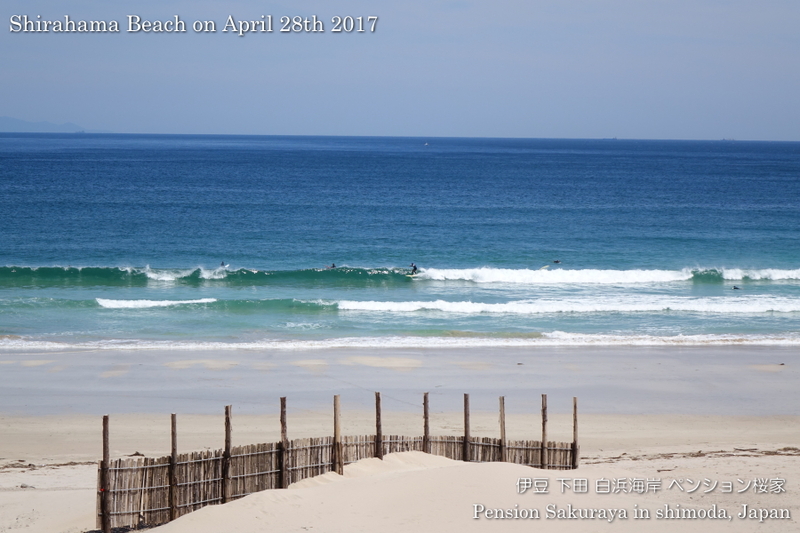 Yesterday we had very cold wind, but it was sunny and very warm today. 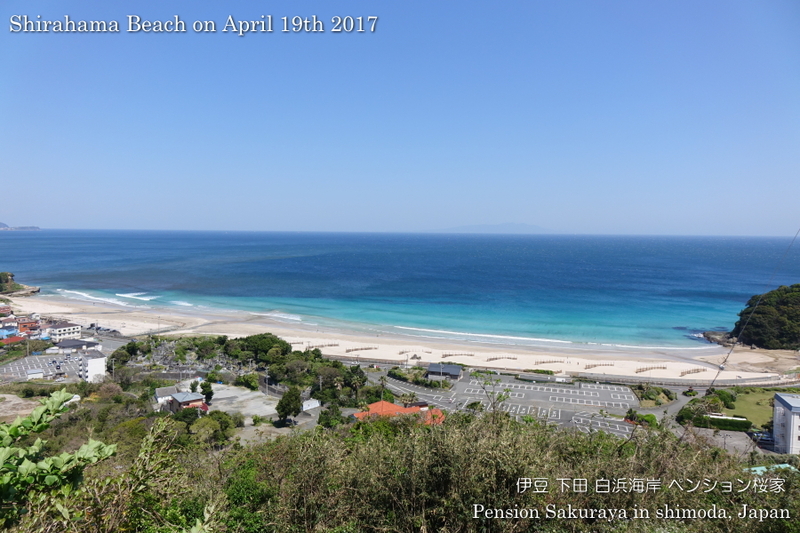 The beach and the water were very beautiful under the sun. 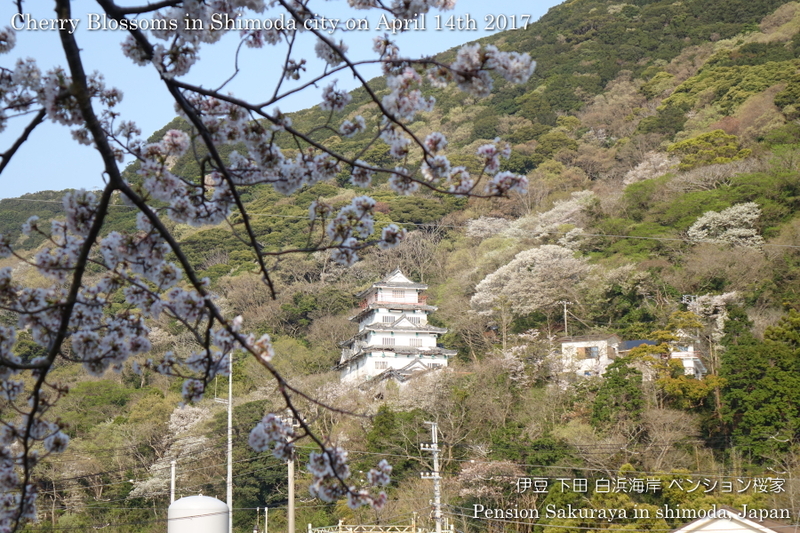 A lot of cherry trees on the river side are now fully blooming. 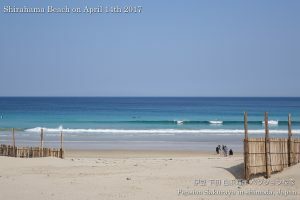 This entry was posted in beach, Flower, nature on 2017年4月14日 by izusakuraya. 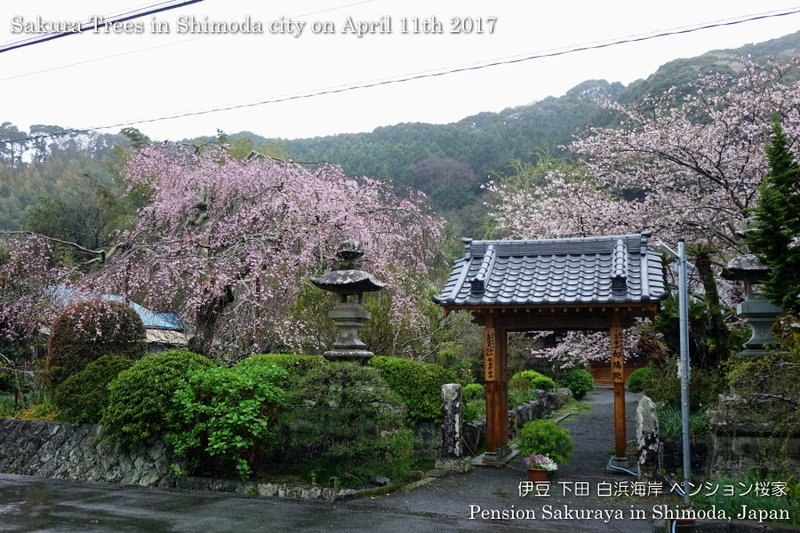 I went to Shimoda city to see peach trees and sakura trees when I went for shopping in the rain this afternoon. 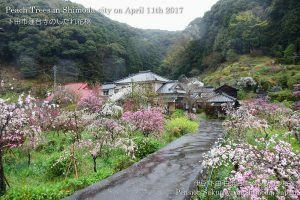 A lot of flowers and blossoms are now blooming in Shimoda city. It was very cold today, but the weather forecast says it would be getting warmer after tomorrow. 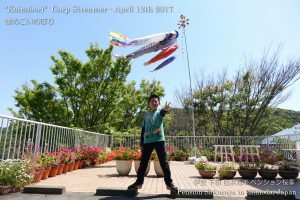 This entry was posted in Flower on 2017年4月11日 by izusakuraya. I sometimes make homemade Amazake which is a traditional sweet, non-alcohol Japanese drink made from fermented rice (kome koji), and this is believed to be very nutritious. 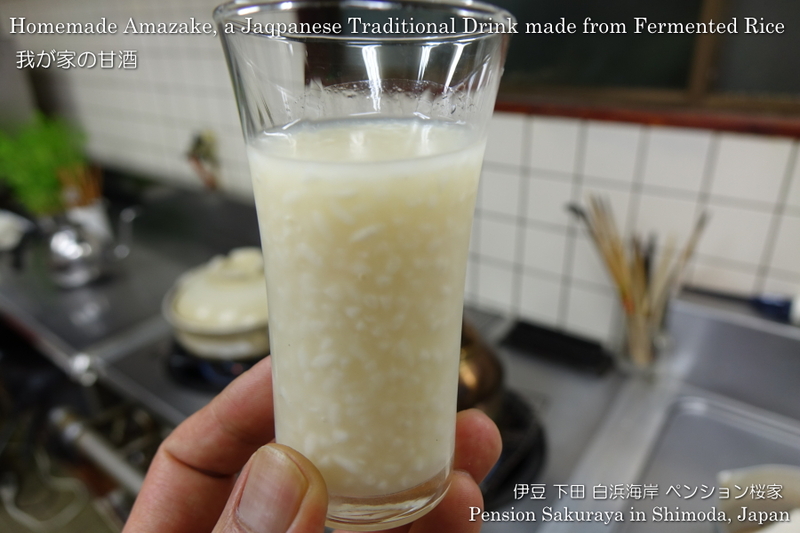 We Japanese have Another type of amazake made from sake kasu (lees left from sake production) which is alcoholic. 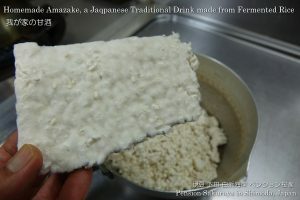 Rice koji (kome koji) is rice covered with a kind of mold. And this mold is enzyme and fermentation starter. 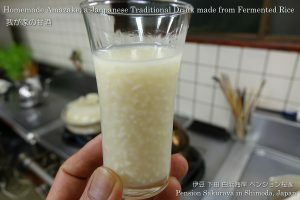 By fermenting rice with rice koji below 60°C (140°F), starch turns to sugar. So that without adding any sugar, amazake tastes very sweet. It sounds more like chemistry than cooking. Here is a recipe to make it. Heat water to around 60℃ by kettle. Put both 200g rice koji and the 60℃ water into the pot. Boil the remaining water in the kettle again. 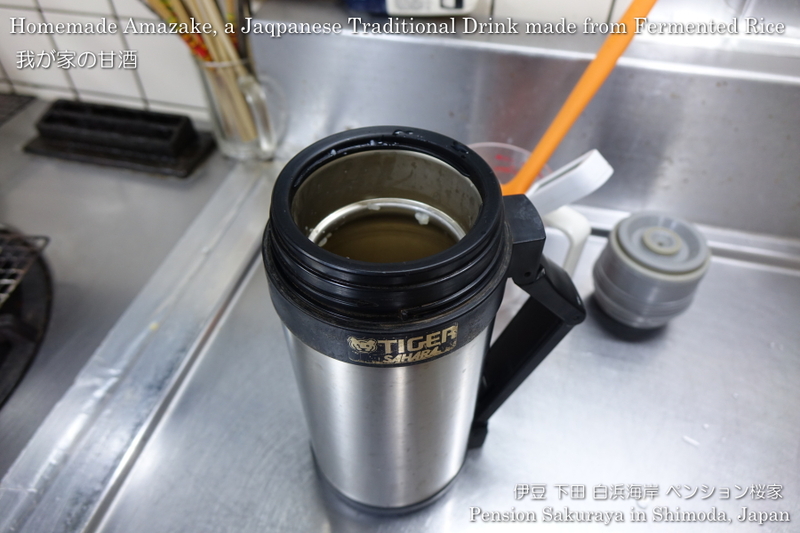 Put the boiled water into the thermos bottle and put the lid on to make it warm. 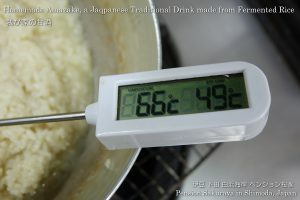 Heat the rice koji in the pot to about 65℃ degrees mixing well. 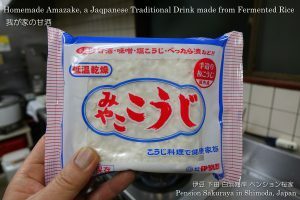 Remove the water in the thermos bottle out, and pour the heated rice koji (#2) into the bottle and shut the lid to keep warm. Leave it for at least 4 hours again and keep warm between 50℃ and 60℃. *If the taste is not sweet, need to keep warm more in the bottle. If it’s too sweet for you, you can add a little water when you drink it. After you make it you should keep it in the refrigerator. 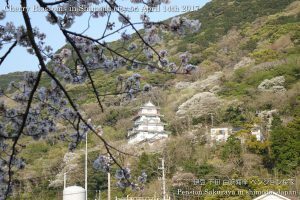 If you have sake kasu, the recipe is different from mine. Here are the links to some recipes below. This entry was posted in Meal on 2017年4月10日 by izusakuraya. 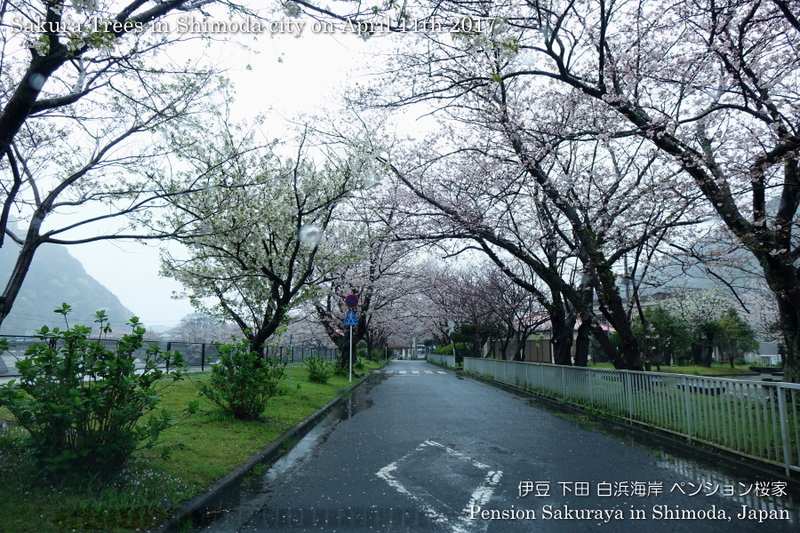 It has been raining all day long since this morning. 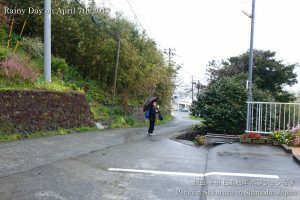 My son went to the school by local bus for the first time today, but it was really fun for him with his primary school friends, he said so. 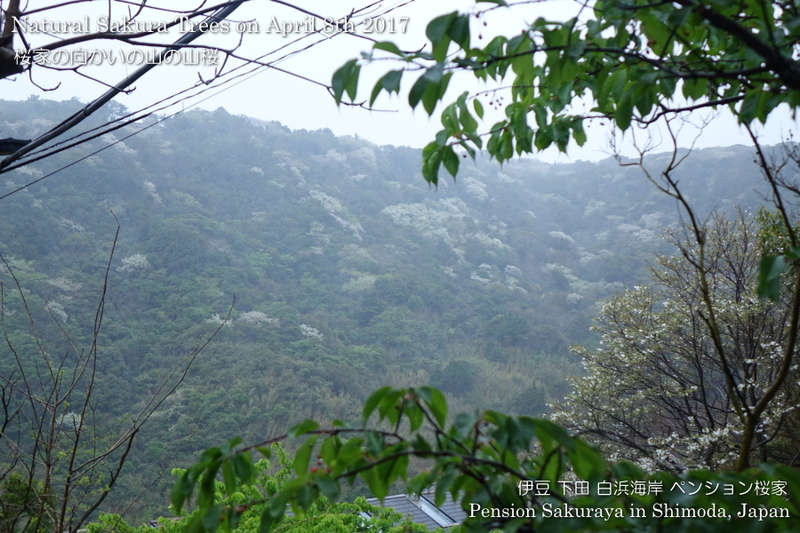 There are a lot of natural Sakura trees in the mountain on the other side of Pension Sakuraya and they are almost fully blooming now. This entry was posted in Family, Flower, nature on 2017年4月7日 by izusakuraya.